Intex has launched 4G-enabled Cloud Glory 4G at Rs 3,999, exclusively on Flipkart. Intex Cloud Glory 4G features 4.5-inch IPS display with a pixel resolution of 480×854. Intex Cloud Glory 4G runs and runs Android 6.0 Marshmallow. It is powered by 1.2 GHz MediaTek MT 6735M quad-core processor, coupled with 1GB RAM and 8GB ROM (expandable up to 32GB). 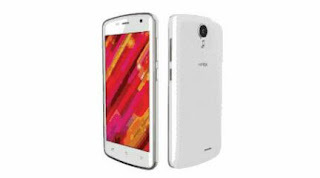 Intex Cloud Glory 4G houses a 5MP primary camera with dual LED flash and 2MP front camera. It is a dual-SIM smartphone hat weighs 120 gms. It is available in black and white colour variants. The battery in Cloud Glory 4G is 1800 mAh, which provides up to 7 hours of talktime and 270 hours stand by time.